High Intensity Functional Training at its best!! Endure 60 minutes of cross-training timed stations with kettlebells, resistance bands, plyometrics, calisthenics and paddle boarding. Driven by data, you will keep score while the clock is running. Get your dose of daily burn for your entire body and maximize output. A fierce 60 minute Resistance Interval Paddle Board workout while tethered to our stability platform. A high intensity choreographed class to make you sweat and feel your muscles burn by isolating muscle groups using resistance bands, plyometrics and bodyweight exercises all while killing your core. Curated inspirational playlists by our instructors to motivate you to leave it all on the board. 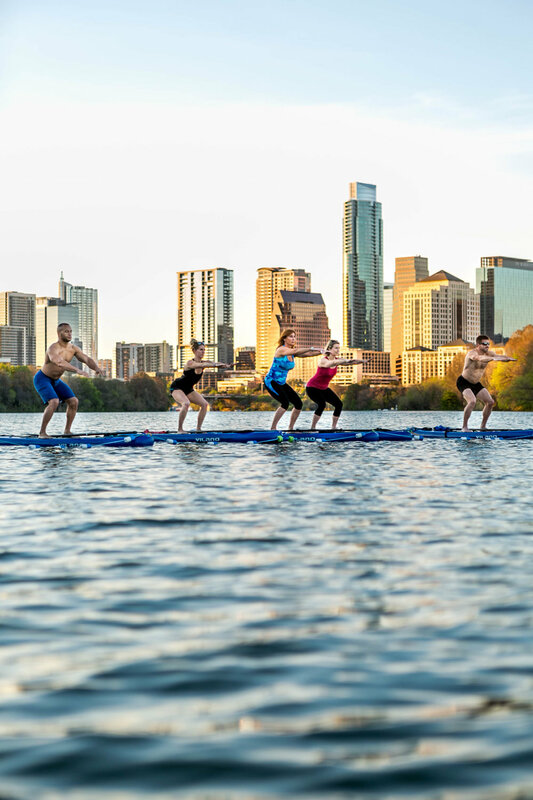 Join our dance party on a paddle board! Vow to better yourself combining strength, movement, balance and breath to flow like the water. While tethered to our stability platform, become more in tune with your poses, focus on correcting imbalances and allow the sensation of floating to alleviate the heaviness of everyday life on your shoulders. Finish feeling rejuvenated and empowered. 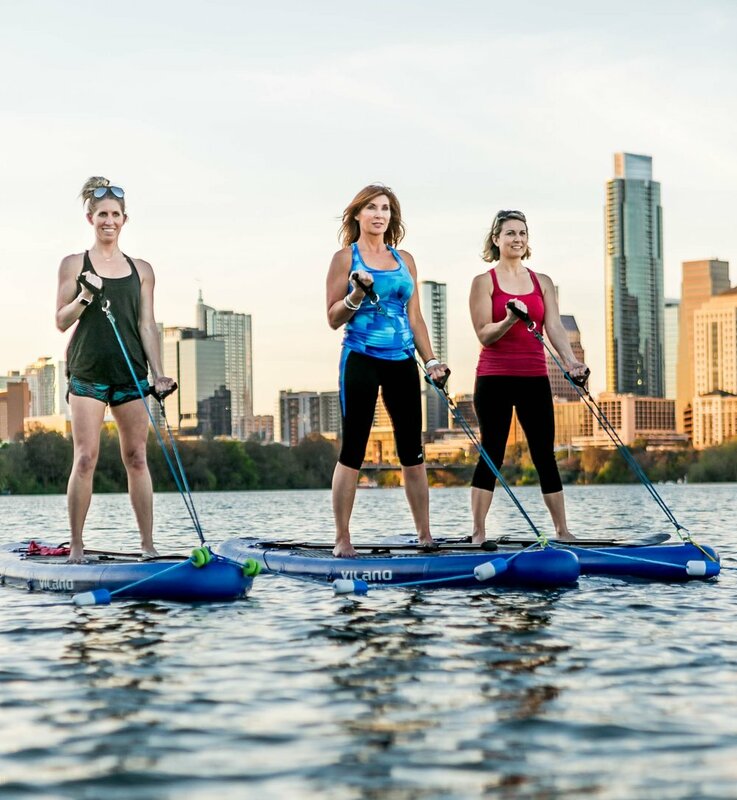 Integrating PILATES + CARDIO INTERVALS + PADDLING! Challenge yourself for 60 minutes with this combo class. Expect to tone the abs and booty with Pilates and resistance bands on the paddle board. Then, pump up the heart rate with Cardio Intervals PLUS Paddling! Water break and repeat. You will get the benefits of fat burning cardio/ paddling with Core & More to carve out those lean muscles.